New to the world of parenthood? Feeling lost and confused? It doesn’t help that you have probably heard countless horror stories from friends and relatives about the endless crying and sleepless nights. Don’t fret – whilst those are very common feelings amongst new parents, you’ll be pleased to know it doesn’t have to be this way. 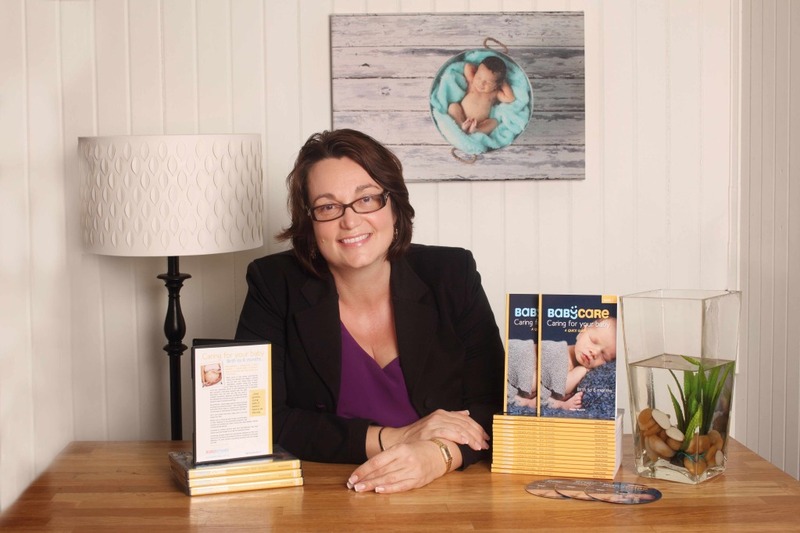 According to psychologist and mother of three Nicole Pierotti, most books about early parenthood are confusing and contradict each other – no wonder parents feel perplexed when it comes to taking care of their little ones. This inconsistency was what drove Nicole to distil more than 15 years of research and experience into Baby Care – an easy-guide book armed with the knowledge and tools required to make your first few months of parenthood a breeze. She’s also started to run workshops to help parents, and eventually launched BabySmiles– a website full of information, sleeping plans, and lots more. Both the book and the DVD – a companion to the book – have arrived at Entropy Elf HQ, so we caught up with Nicole herself to ask her a few questions and learn more about these wonderful resources. What lead you to producing your own book and DVD? My book grew out of deciding to revise my notes for my pre-baby workshop that I do personally for expectant parents. The DVD was the taping of one of these workshops with a couple, and edited to use in conjunction with the book for parents who lived elsewhere in Australia or in outback Australia, as parents were travelling 6 or 7 hours just to come in and do the workshop. What is the one thing, in your experience, that new parents are most confused about when it comes to looking after a newborn? Parents are so focused on birth and labour when pregnant; it isn’t until they have their baby and leave hospital, that they often realize that they really don’t know what to do. Then they start to read and find the information available very confusing and conflicting – there is no clear direction as to what is best for their baby. Another thing that parents don’t realise, is that their baby will just sleep when needed, and an overtired baby is so much harder to get to sleep. What are people most surprised/thankful to learn after reading your book? How simple I have tried to keep the strategies and the routines. They’re surprised to learn that it really isn’t as complicated as other baby experts make it out to be, and how much common sense there is involved; however, it’s not until someone actually teaches you that you realize! What are your top 3 tips for new parents, and your top 3 tips for looking after a newborn? Have a simple and realistic routine that has guidelines, rather than planned and timed intervals to the minute. 6am to 6pm is a baby’s day. Learn to read your baby’s signs of tiredness. What’s your baby’s sleep checklist? Make sure it doesn’t involve you doing something; they need to learn to fall asleep by themselves so that they can keep sleeping as long as they need rather than waking when you slip away. Babies cry – yes they do! They will not break. Avoid snack feeding and cat napping; make sure they have a good feed every few hours, not hourly. This way they can sleep for as long as they need too without becoming hungry too quickly. Learn about ‘happy awake time’; when they become ‘scratchy’ you need to get your baby organized for sleep and not wait too long. What’s next for you and BabyCare/BabySmiles? My aim is to have a series of books for the early years of parenting. I am currently finishing my second book, which is for toddlers on toilet training ­- a step-by-step how-to guide, which should be on the shelves in January. Recently we have also launched online sleep plans, where parents can tell us what is happening in their family and where they would like to be, and they can receive a personalized sleep plan with strategies on how to help their baby/child. We have also added email support for sleep or parenting issues, so parents can access this without having to get their baby or toddler in the car and physically get to an appointment. This has been popular with parents and is easy for them to access anytime! If you would like to learn more about BabySmiles and their services, please visit www.babysmiles.com.au.